For the record, when you see articles like this claiming the EU Army is Europe’s answer to Trump, don’t be fooled. Even though it’s well documented here on Global Geopolitics, and has been so for over five years, the plans for such a structure have been laid out decades ago. Donald Trump is just the scapegoat and everyone’s favorite lightning rod needed to follow through with the plans. Make no mistake about it, the European Army is coming, courtesy of Germany’s Fourth Reich hiding behind the yet-to-come United States of Europe after the European Union goes through a shakeup and necessary changes. A SENIOR German defence official has insisted the European Union will inevitably launch its own army. Hans-Peter Bartels, Germany’s national defence commissioner welcomed the single force because the bloc is “currently disorganised”. 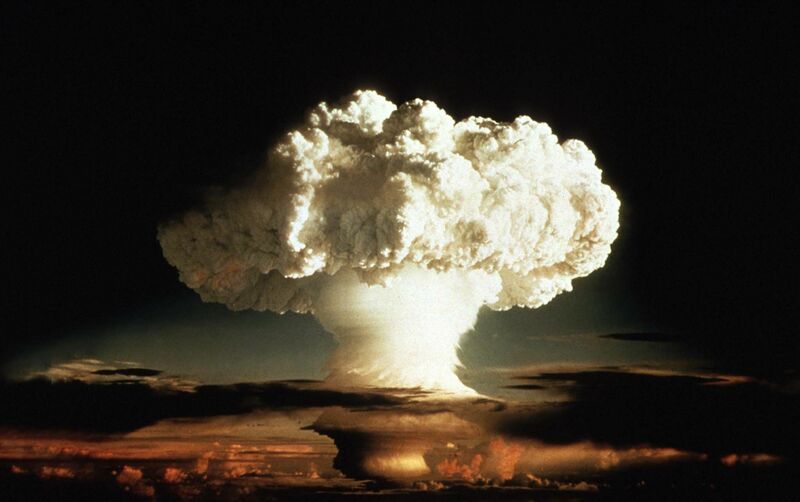 A senior Russian politician responded aggressively Monday to comments by the U.K.’s defense minister suggesting pre-emptive use of nuclear weapons against Russia is an option for London, claiming the U.K. would be completely annihilated by Russia’s nukes in response. The European Union is to create a special military command center for operating foreign missions, the German defense minister announced amid criticism from some bloc members that the initiative is financially unreasonable and merely copies NATO’s steps. EU foreign ministers “founded, or put in motion, today a European command center for foreign missions,” German Defense Minister Ursula von der Leyen said at a meeting in Brussels on Monday, according to AP. VLADIMIR Putin has sent an submarine loaded with missiles into the heart of the English Channel, sparking fears over a second Cold War. Military insiders say the deadly submarine – which has the capability to launch surface-to-air missiles – had been monitored since Sunday when it left its base in Severmorsk, northern Russia. Whether Russia is part of the scheme or not remains to be seen. However, one thing is certain (and gets hammered in a lot here), is that The United States of Europe is under construction. You are looking at the world’s next superpower, and perhaps lone superpower. The economic is already there, and likely why Germany wants its gold back. It needs it to solidify the economic foundation of its EU superstate. All this is Germany, the dominant force of Europe under the guise of an EU/United States of Europe. America is suicidally fading away and will go into the dustbin of history if it doesn’t change its act very quickly — and that’s if it isn’t too late already, which all signs point towards. It continues in its attempts to solve a fatal moral crisis with political solutions while turning a blind eye to God, the only solution that can change this. God is not obligated to protect a nation if that nation kicks Him out, which is exactly what America has done. While people seem to think China will rule the world, or Russia, that’s not likely the case as no one trusts either of them. Russia is also one of the main reasons, or threats rather, that this project is being undertaken in the first place. An alliance, as previously mentioned is not out of the question either since history repeats itself. The last time Germany entered into pacts with Russia, it ended up in the two bloodiest wars the world has ever seen. With a Donald Trump presidency, you’d also see this European project speed up as he wants to either remove or replace NATO, which will give Russia their dream for conquering Europe — be it without a shot being fired or carpet bombing as far as Poland and turning it dust within 30 minutes before NATO can even get their military fatigues on. The late Margaret Thatcher was fully correct when she stated that Europe has become anchored to renewed German dominance instead of Germany being anchored to Europe. 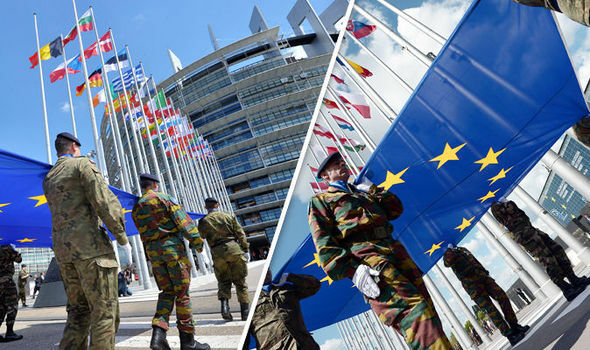 (TRUNEWS) The Former head of British troops in Afghanistan says the eurozone’s elites “ultimate plan” is to form an EU army out of the bloc’s 28 member states. Retired British Army Colonel Richard Kemp — who formerly worked for the UK Joint Intelligence Committee — said this move would greatly undermine the supremacy of NATO and significantly weaken UK defenses. “If we left the EU, we would undermine the EU’s ultimate plan of forming an EU army, and that is exactly what they are going to be doing,” Kemp told the Daily Express. You’ve read the developments on Global Geopolitics for years already. The path to create an EU Army has not deviated one bit — all courtesty of the Fourth Reich and its upcoming United States of Europe. FEARS British armed forces could be dragged into an EU army escalated after Michael Fallon said UK troops must further integrate with their European counterparts. Mr Fallon said UK military cooperated with their European neighbours on “every front”, including British and French pilots flying each other’s jets and both nations’ ship sailing alongside one another. RUSSIA and the US are set for a cataclysmic clash, an MI6 chief has warned as Vladimir Putin’s continues its campaign of air strikes in Syria. Former MI6 chief Sir John Sawers said there is a “real risk of a clash” as tensions boil between both superpowers amid Russia’s bombing crusade in Syria. His warning comes as Defence Secretary Michael Fallon announced Britain is to station a “small number” of troops in the Baltic states in a further move to deter Russian aggression. RUSSIA is gearing up for a war against Britain and Nato, according to alarming new claims. A leading European think tank has said a Russian military exercise in March demonstrated that Russia “is actively preparing for a conflict with Nato”. The European Leadership network also claimed a similar exercise by Nato in June indicated that the two powers were training their forces to get to grips with each other’s strengths and military plans. THEY both have a volatile relationship with Britain – and now Russia and Argentina look set to further cement their budding relationship. Argentine President Cristina Fernandez de Kirchner will meet with Russian leader Vladimir Putin at the Kremlin later today, where the pair are expected to sign a string of deals on trade, energy and military cooperation projects. The Ministry of Defence failed to encrypt a secret document on its website that describes the exact make-up of runways, ­thickness of concrete and gives GPS coordinates of facilities. The information was freely available from the homepage and would be priceless to an enemy bomber planning a strike. Britain is set to boost ​its defences in the Falklands amid claims Russian president Vladimir Putin is helping Argentina re-arm.